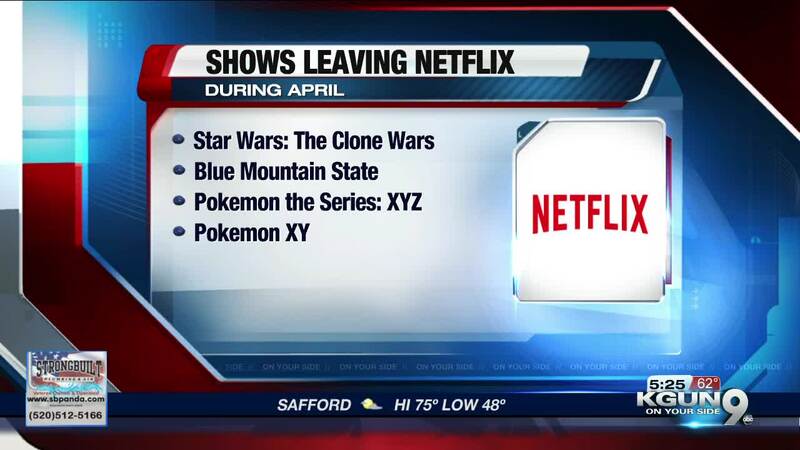 &quot;Star Wars: The Clone Wars&quot; is leaving Netflix in April. The beloved animated series "Star Wars: The Clone Wars" is leaving April 7, continuing the chain of Disney-produced shows leaving the platform, as the House of Mouse prepares to launch its own Disney+ service later this year. Also leaving is "Blue Mountain State," the sit-com centered around a small-school football program. Two "Pokemon" series are also on the way out.